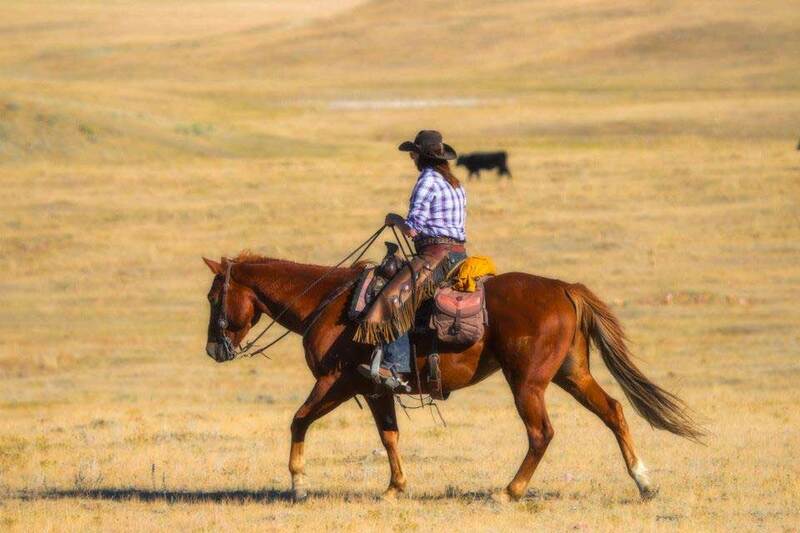 Join us for a beautiful riding vacation, an adventurous cattle round up, and a time filled with lasting memories. We’ll begin at the Ranch with horsemanship lessons, working with cattle, getting your seat and making sure you and your horse are a match. Then, we’ll head out for four days and three nights to our base camp located on the Blackfeet Indian Reservation. You’ll ride as far as the eye can see over thousands of acres of Indian Territory. You’ll gather cattle, driving them over the open prairie and to the corrals to brand calves and care for the herd. You’ll feel like a real cowhand riding out long horns, cows, bulls, and possibly even bucking horses. After returning to the Ranch from the cattle drive, relax in the hot tub or by the fire, then enjoy a homemade dinner you will not forget. The next day, adventure to the Canadian border for one last all-day ride and enjoy the lush, open meadows of Swisher Lake. *Prices do not include 18% taxes and fees. *Double, triple and four person occupancy applies to adults. At the Bar W, we have created a cattle drive adventure that rounds out all of the experiences of a cattle round-up. Honoring the spirit of the traditional cattle drive, we want our guests to experience the best of what a cattle drive can offer. 1. You’re invited to be part of a real special week. On Saturday, the Bar W Ranch picks you up at the airport and once settled at the Ranch we’ll have dinner and then a horse orientation.